In 2014, Rio Tinto broke new ground when it introduced driverless trucks into its Hope Downs 4 iron ore mine in the Pilbara. Today, such vehicles are commonplace throughout the region and can be operated autonomously from a nerve center in Perth. Last year autonomous drones were trialed at South 32’s Worsley alumina project in south-west Western Australia. In 2020 Australia expects robots to replace more than 50 per cent of miners worldwide! A trend toward using technology and data at mine sites is clear, and the impact should not be underestimated. In its Energy 2020 Vision: The Near Future of Mining report, audit, tax, advisory and business services firm BDO Australia says it expects robots to replace more than 50 per cent of miners worldwide by 2020. BDO says self-driving trucks and autonomous drillers and muckers are being employed on site at almost every large multi-national company’s mines. Named for their agility, meanwhile, ‘snake robots’ equipped with Internet connected sensors are being used to navigate down mine shafts and collect data. 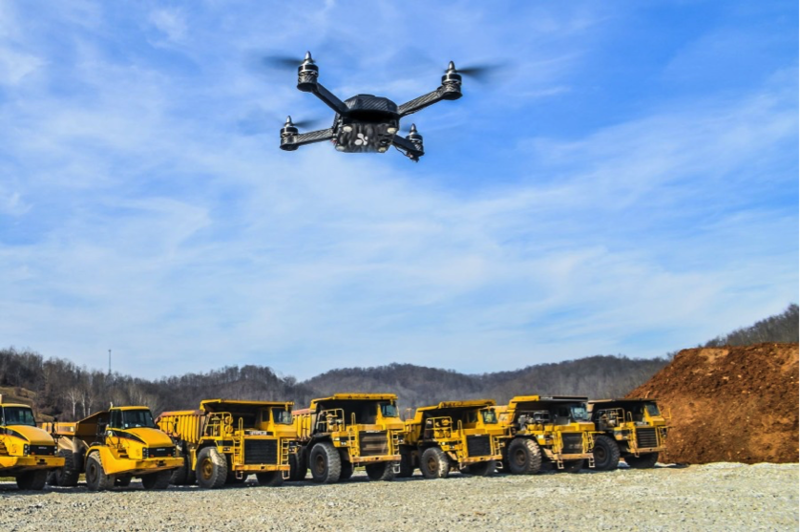 Drones are also helping to map the topography of a mine and capture aerial images of inaccessible areas to identify possible vulnerabilities and areas of tension. Finally, remote vein miners (RVMs) are being developed to eliminate the need to drill and blast to excavate rock—potentially reducing rock stress that can lead to seismic events. Companies who leverage these technologies, BDO says, will derive digging cost efficiencies in the realm of 30 per cent. Driverless technology, it says, will increase mining output by 15 to 20 per cent whilst cutting fuel and maintenance costs by 10 to 15 per cent and eight per cent respectively. Workers will not be done away with, but will need to reskill. Whilst traditional roles such as drilling, blasting and driving will be downsized, BDO says these will be replaced by demand for remote operators and maintenance personnel. Emerging digital mining jobs such as software developers, data processing and data analytics specialists will attract a tech-savvy workforce, it says. Workers will also benefit through improved safety as accident numbers should fall by 75 per cent, BDO says. Sherif Andrawes, partner, Corporate Finance, National Practice Leader – Natural Resources, said many engineers would be thinking about how technology will impact the operation of mines throughout the process of new mine design and construction. “With a lot of the mines that are starting to be developed now, the designers would have an eye – more than an eye, probably – on how technology will impact the mine and making the most of available remote access, digital technology and the like,” he said. According to Andrawes, the push toward technology is being driven by safety and cost efficiency. On safety, he says technology such as remote based miners or robots will in many cases avoid the need to put people in hazardous environments. On costs, he says that as ‘price takers’, many miners have little control over the revenue side of the profit margin equation and thus would look enthusiastically at measures that improve cost efficiency – not only by reducing headcount but also improving grade efficiency. Andrawes says predicting which roles will disappear and be created is difficult. Nevertheless, manual tasks will be a natural target for automation where this is possible. Conversely, a need to exploit data generated by self-driving vehicles and other equipment and use this for interpretive purposes will create needs in areas such as data science and data analytics. In many cases, he says people will continue to be required and to interact with mines but may spend less time getting dirt on their boots and more time behind a desk or in a remote location. From an engineering perspective, Andrawes says technology will affect how mines are designed, operated and maintained. In design, he says technology may impact issues such as access constraints and may necessitate smaller access pipes, for example. Meanwhile, the ability to monitor assets in real time with greater accuracy may enable a lower margin of safety to be adopted in some parts of the facility’s construction. On maintenance, Andrawes says real-time monitoring of assets will enable a shift toward away from scheduled shutdowns toward performing asset maintenance when it is needed. Industry bodies agree. A spokesperson for the Minerals Council of Australia says automation across many parts of the industry is moving workers from mine sites to remote operational centres. Whilst this will enhance their safety, it also requires many to enhance their skills. Referring to previous statements from BAE Economics, the spokesperson said robots in a mining environment need to move around in complex environments. To do this, they need computing power, new algorithms for signal processing, perception and control, and new sensing technology for monitoring landscape geometry, including GPS, radar and laser systems. High level interdisciplinary skills are needed to develop and operate these complex technologies, he said. Looking ahead, the industry’s prosperity depends on a professional and semi-professional class of skilled and technologically enabled professionals such as operators, engineers, environmental scientists, geologists, geophysicists, mathematicians and financial officers, the spokesperson said. In addition, technologies such as cloud software and analytics are already being used. These present existing workers with opportunities to assume more challenging roles and for specialists outside of traditional resource occupations to pursue opportunities within the sector. As an example, when Rio Tinto introduced its driverless trucks at its Hope Downs 4 iron ore mine in 2014, the requirement for drivers was reduced. Nevertheless, the new trucks required new roles including controllers who monitor the automated vehicles; pit controllers who manage how the vehicle operates on site; and specialists in communication and systems engineering (new entrants), who provide detailed fault diagnostics. The sector has a history of innovation technological prowess, the spokesperson said. All this creates challenges, however, in security. As greater numbers of devices are linked together, opportunities for hostile actors such as aggrieved environmentalists to gain access to the system and wreak havoc are on the rise. Particularly harmful are Permanent Denial of Service attacks. Unlike the more familiar Distributed Denial of Service attacks, these not only aim for disablement of operations but for permanent destruction of physical equipment and structures, disablement of services and wiping out of data. Between now and 2020, BDO reckons at least five such attacks may take place. For engineers, this means thinking about cyber security as well as physical security. In many cases, this may require collaborating with technology firms. Australia’s mining sector is undergoing change that will alter not only the jobs available but also how assets are designed, operated and maintained. Abbey E, 2017. Digital mines: on the pathway to mining without miners [online], Spatial Source. Available from: www.spatialsource.com.au/company-industry/digital-mines-pathway-mining-without-miners. Byers D, 2018. Australian mining education summit to help build tomorrow’s workforce [online], Minerals Council of Australia. Available from: www.minerals.org.au/news/australian_mining_education_summit_to_help_build_tomorrows_workforce. Long G, 2017. Digital Transformation in Mining [online], Accenture. Available from www.accenture.com/au-en/insight-resources-digital-transformation-future-mining#visual. Rio Tinto, 2017. What will the mining workforce of the future look like? [online]. Available from www.riotinto.com/ourcommitment/spotlight-18130_22976.aspx#. Rundus M, 2017. Industry Q&A: Cyber Security in the Mining Sector [online], Austmine. Available from: www.austmine.com.au/News/industry-qampa-cyber-security-in-the-mining-sector-1. University of South Australia, Digital Learning Strategy, 2015-2020 [online]. Available from: www.unisa.edu.au/About-UniSA/University-of-South-Australias-Digital-Learning-Strategy-2015—2020/. Walsh S, 2017. Miners need to embrace the digital revolution [online], Deloitte Australia. Available from: www2.deloitte.com/au/en/pages/media-releases/articles/miners-need-to-embrace-the-digital-revolution-010317.html. Image: Rio Tinto iron ore operations centre, Perth. Copyright © 2010 Rio Tinto.